You care about the foods you eat and how they impact your health. Good, you should. Learn how duck makes your life healthier and tastier. With around 29 grams of protein per pan seared serving (113g), DUCKCHAR Moulard Duck Breast can fuel your healthy lifestyle and add some excitement to your diet and appetite. Duck is a terrific source of minerals, vitamins, and high-quality protein made up of a wide variety of important amino acids. 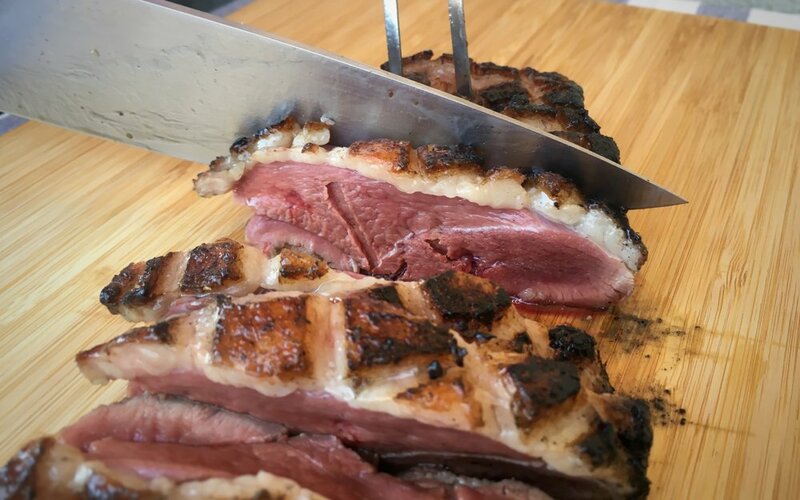 The Moulard Duck not only has a superior taste, but also is leaner than its Pekin relative (the duck usually available in the US) thanks to its other family member, the Muscovy.